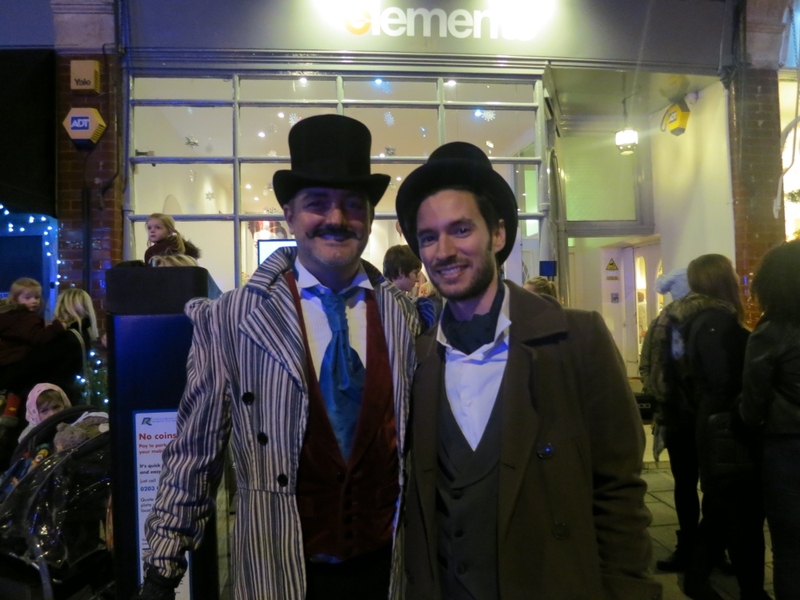 This year’s Lights-Up event will take place this Thursday 28th November 2013 and will have a vintage theme – shops, stall-holders and visitors are encouraged to dress accordingly with top-hats, frock coats and all! 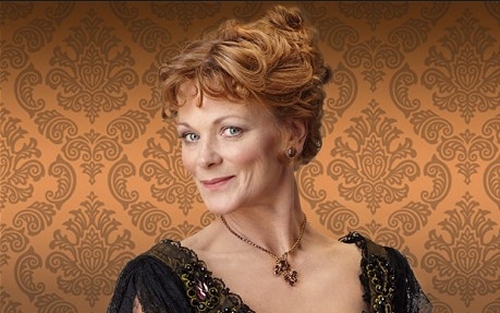 Throwing the switch this year will fittingly be star of Downton Abbey, Samantha Bond. The festivities will start at 4pm at Teddington Library with a free session of story-telling and activities for 3-8 years olds (booking necessary). 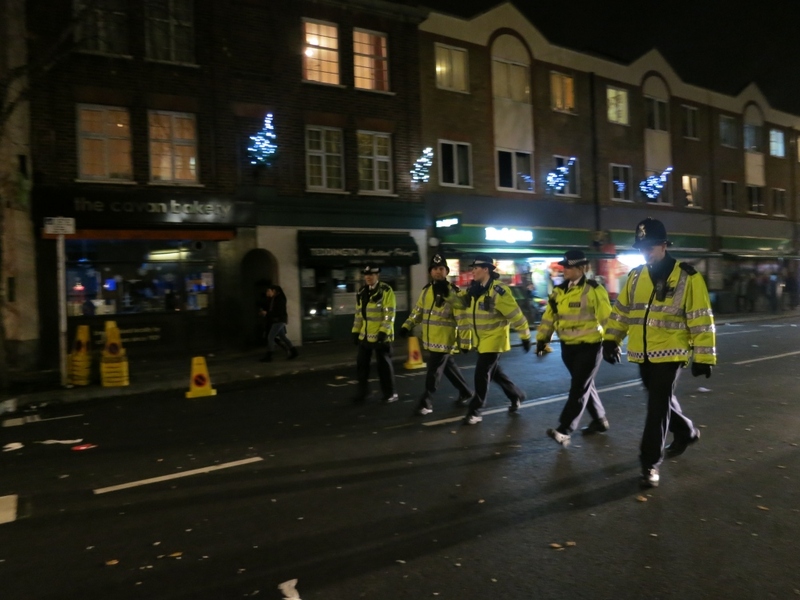 5pm Santa’s Sleigh Procession – from Teddington Hospital, along Broad St to Elmfield Gardens and High Street. Come along to watch the procession & line the streets to watch! 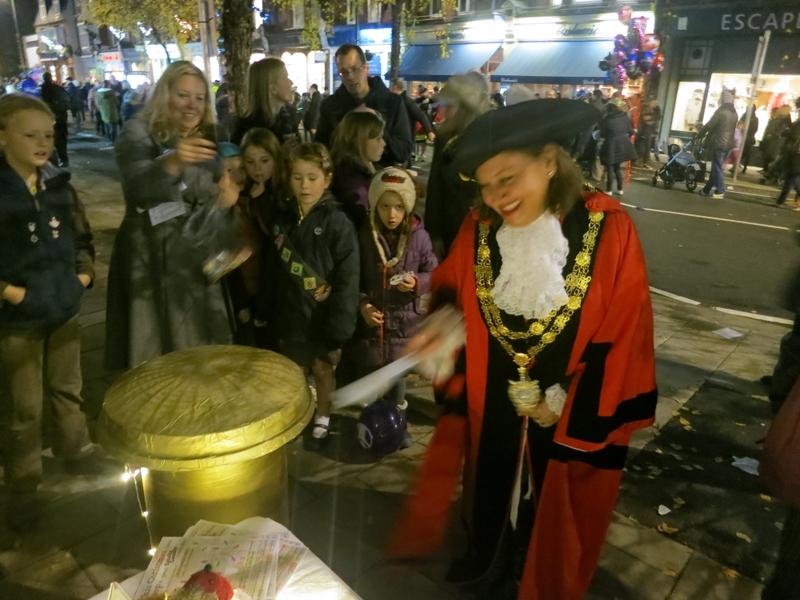 6pm Samantha Bond and Richmond Borough Mayor speech and lights switch-on. Road closure info, times and bus diversion info can be found here. Al Borgo: Try a plate of home-made “gnocchetti tirolesi” for only £2 and automatically enter the Al Borgo Lucky Dip. 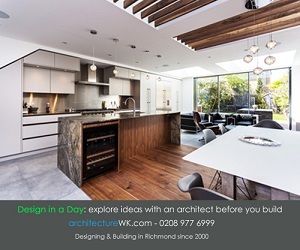 Architects Gallery: 5th birthday celebration drinks party and new exhibition – drawings and prints by Julian Bovis (in support of Tearfund). Bilas Tandoori: free food tasting outside from 5pm as well as normal Thursday banquet night. 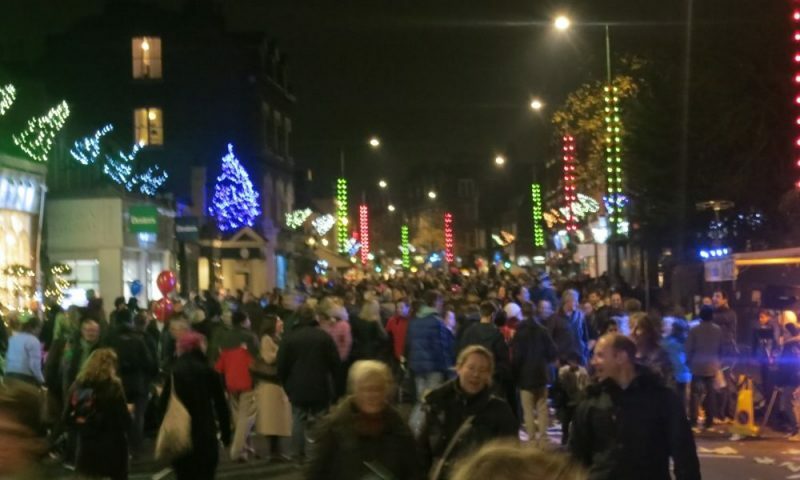 Broad St: Carol Singing Churches Together in Teddington after 6pm. Buttercups Nursery: meet Santa & pat real reindeer (opposite Studio 148). Carluccio’s: Mulled Wine, Lugancia sausage sandwiches and pork & apple sandwiches (both hot). 10% off all Deli Products. Christmas Doors of Teddington: 24 hidden doors in businesses across Teddington for children to find. COOK: Mulled wine and a free tasting of most popular Christmas dishes. Dexters: Mince pies, wine and a colouring competition for the kids. Diners Delight: Free mezes and homemade pita bread, home made grilled meatball rolls (cooked on the barbecue). Divine at Number 12: Traditional Christmas wreath making demonstration and a glass of bubbly. Elements: Bubbles & mince pies for clients, songs from Meera Jack. Santa’s Grotto at Mini Me – elves, Santa & gifts for local children and reindeer dust. Elements Mini-Me: Santas grotto £4 (siblings £3, babies up to one free of charge) with gift, a temporary Christmas tattoo and reindeer dust to take home for Christmas Eve. All profits and donations made for Shooting Star Hospice. Fallow Deer: Mulled cider and homemade cake, lovely vintage and foodie Xmas gifts for sale. Family Supper by 2nd A Teddington Guides 6 – 7.30pm (after Lights Up) at St Mary with St Alban Parish Hall. 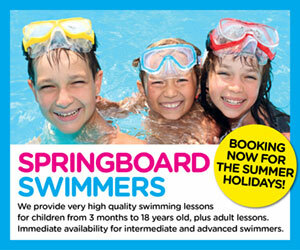 Beat the queues & pre-book £6 Adult £4 Child, Tel Kathy on 8977 8668. Famous Wines: Tasting of Italian wine and Auchentoshan single malt whisky. FARA Kids: Face painting and selling Krispy Kremes to raise funds on Thursday night. FARA Books: Open late for a nibble, tipple and a good book or two. Jackson Stops and Staff: Vintage “how many sweets in jar” with all donations to Tear Fund. Happy Potter Ceramics Special mini-painting sessions including £5 decorations to hang on Christmas trees. Heirloom: Open late and donating 10% of sales to St Mary and St Alban Church. Kindle Stoves: Marshmallows on the outside fire for the kids, snacks and malt wine for the adults, kiln dried logs – 2 bags for £10. Kitchen Sync: Cookie decorating for children under the Gazebo and Mulled Wine to shoppers. La Casa Del Habano: Treasure Hunt for ages up to 16 years old. Belgium chocolates and Truffle sampling. 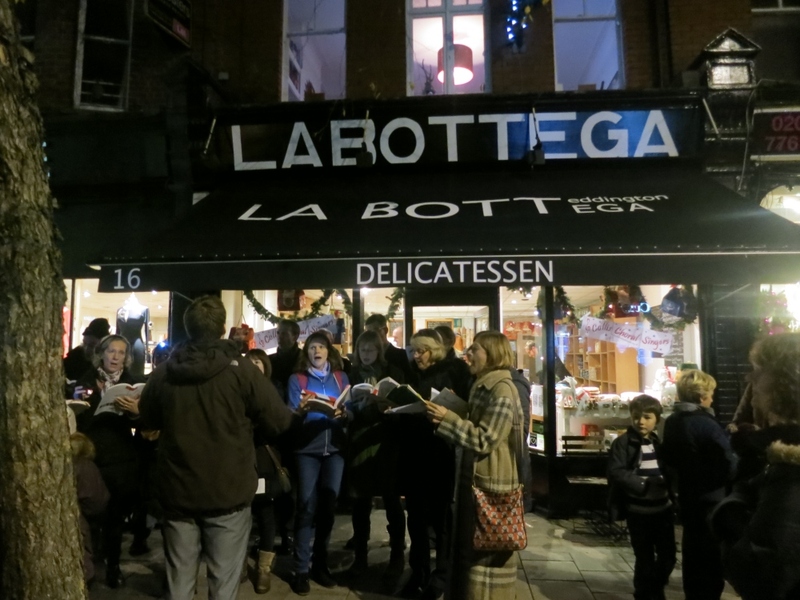 La Bottega: Open late for delicious treats and perhaps a tipple or two. Landmark Arts Centre Choir: singing at 6:20pm Elmfield Gardens. 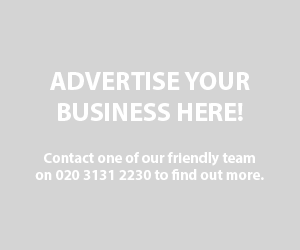 LS Hair: Santa’s Grotto & refreshments, 15% off on future bookings. Loft: Open till late for Lights-Up and also 10th birthday! Discounts on the evening. Mary Portas Living & Giving: Mulled wine, mince pies, Xmas gift table with lots of stocking fillers, fairy corner & lucky dip, face painting. Mela Mela: Free raffle for 2013 Harrods Christmas Bear ‘Sebastian’. Pink bubbly & nibbles. £50 gift voucher to best vintage outfit on the night. Mitzi B: Mince pies and wine all evening. All staff in vintage dress and doing masses of free gift wrapping. Moidul’s: An evening of music and entertainment. Moonstone (Park Road): Open late, 10% off when you spend £50 or more on the night. Start your Xmas early with a bit of sparkle! 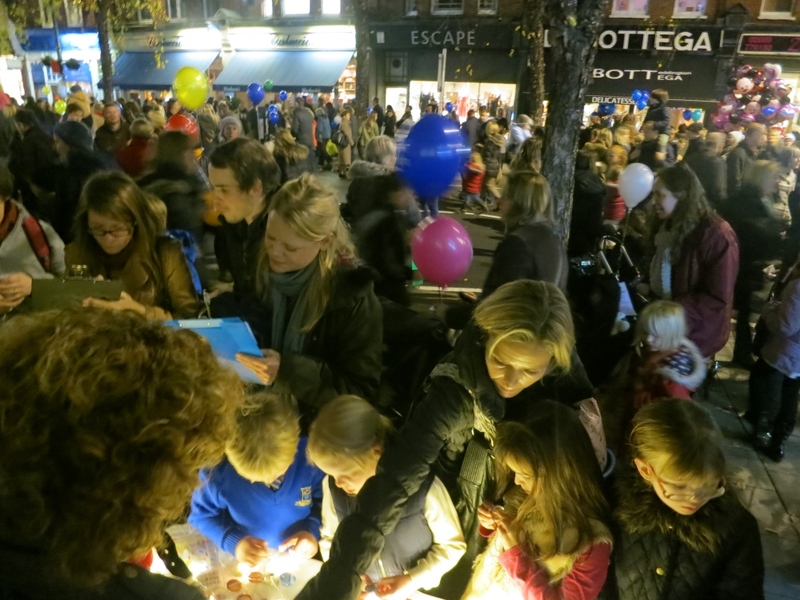 NappyValleyNet: Win a Teddington Christmas worth over £500, free balloons for your little ones. Park Lane Stables: Pony rides with “reindeers” at the Kings Head car park 4-9pm, raising money for 21andCo. Physio & Therapy: Lucky Dip for children & 20% off discount cards for initial adults Physio Assessment & Sports Massage. Play Inside Out: Galt hamper raffle. Radio Jackie Road Show; on the High Street. Santa and RNLI Lifeboat near the Royal Oak. Sidra Patisserie: Open late with treats including Christmas baklava. Shambles: Live music and homemade pasta fagioli. Simply Me: Christmas evening with special party season offers. Simply Skin: Free biscuit decorating & Skin bar for hands. Try the lovely body Dermalogica products. File & polish for £5, treatment and product offers and skin advice. Sims Opticians: Sweets, mince pies, warming mulled wine and, of course, lots of Christmas cheer! Sounds Familiar: Live music at Elmfield Gardens. Stevens Tyres: Free lucky dip for the children, tyre Safety advice and giving away ‘Hankook Goodie Bags’. St Peter and St Paul Church (Church Road): Open for contemplation. Studio148: 10% discounts and a complimentary drink (champagne/wine) & cupcakes. Teddington and Hampton Wick voluntary Group: Stall with info on volunteering and advice for those that might need services. 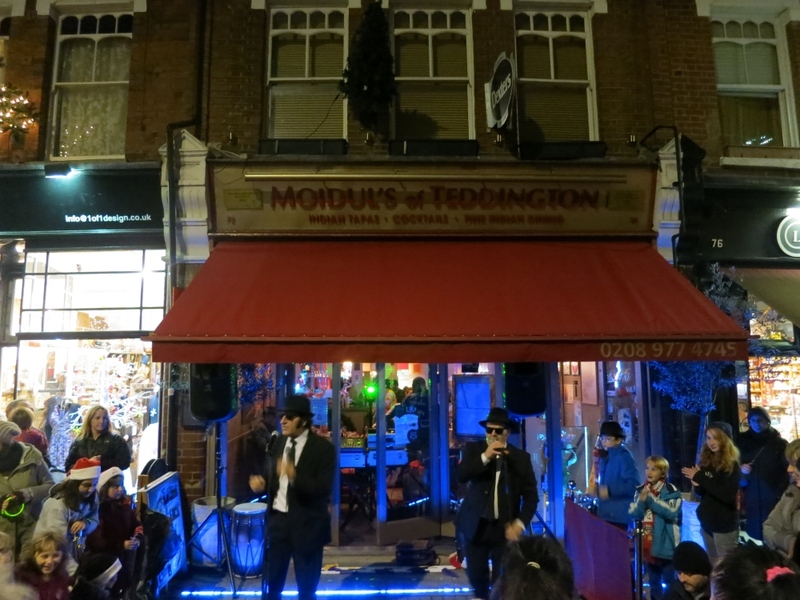 Teddington Arms: Live music, roasted chestnuts, open until midnight. Teddington Athletic U12 squad: In new Moiduls/Physio & Therapy sponsored kit and presenting a framed team shirt at 7:30pm. Teddington Jazz Band: Outside The Royal Oak. Teddington Society: lucky dip, festive fudge, Xmas cards, notelets, mugs and memberships. Teddington Ukulele Playerswill be performing their first ever gig outside the Royal Oak at 7pm. Teddington WI: Cake stall [outside Play Inside Out] with all proceeds to Teddington Memorial Hospital and Momentum Charity. Teddnet: Giving away mulled wine and sweeties [outside Curchods]. Meet the team behind Teddnet. Teds: Serving wine and snacks. 20% off all winter stock on the night and offer continues to Saturday. TLC Family: will be handing out with free Glo-sticks & flyers with a special offer for the Teddington Loyalty Card. 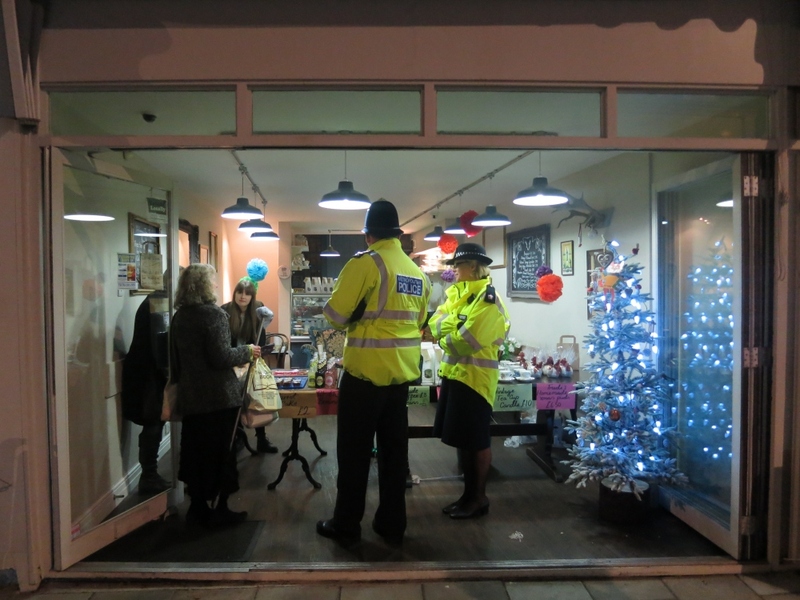 Totally Locally Teddington: 1 year anniversary celebration, balloons, cupcakes, badges, raffle prizes, nominate your own Hidden Gems [near Lloyds Bank]. Vet4Life: See the vet facilities & equipment. Warm mulled wine & homemade tasty treats for people and their furry friends. Free prize draw for a Christmas Hamper. Vidatherapy from 6-9pm £10 mini-treatments of 15minute on-site massage (15minutes) back, neck and shoulders; Taster session of reflexology (20minutes); Mini manicure (30minutes) (book your slot in advance). VIA: Celebrating 10th anniversary with drinks and canapés, 20% discounts and fabulous prize draw for any purchases made on the night. Waterstones: Teddington poet Joanna Harker will be signing and talking about her poetry collection. Exhibition by local photographer, Phillip Ratchford. TEDDINGTON UKULELE PLAYERS will be performing our first ever gig outside the Royal Oak at 7pm. We missed last year but did attend the previous year and it was brilliant. As a family we had a choice of lots to eat from the many stalls. There was a great mixture of stalls and of course the restaurants. We went this year thinking it would be much the same. 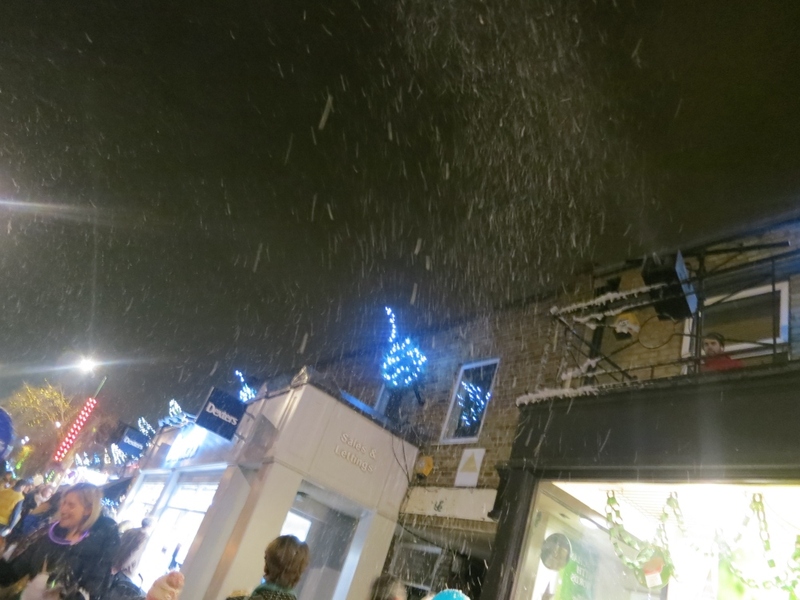 The switching on of the lights, the choir and the crowd of local people was absolutely fantastic. But……………where could you eat. All the restaurants were almost full, there was the odd give away mince-pie. There were many many families like us with children, prams and push chairs. There was no way we and others like us could have joined a queue for a restaurant. We were all hungry due to the expectation of being able to buy food from a stall. We eventually had to walk down to Teddington Lock and have a meal in the pub. We and most of all the children just had to have something to eat and because of this were forced to leave he celebrations early. Will you please next year have more stalls selling fast food. Families do not want to have to enter a restaurant for a sit down meal. Eating in the street is all part of the communal fun………….